BHAKTI - The positive way to approach God. Bhakti is Open to all. Bhakti is resting on God. It is lifting our hearts in thanks to God. Bhakti is the flow of devotion like the flow of a river. Bhakti is attraction of the Jiva to the Lord, just as there is attraction of the needle to the magnet. Bhakti awakens and elevates man into a state of divinity. It intoxicates the devotee with divine Prem. It makes the Sadhaka (aspirant) rejoice in God. Emotional excitement is not devotion to God. Bhakti leads to immortality or God-realisation. Bhakti can be practised under all conditions and by all alike. Divine love can redeem even the worst sinners. Learning, austere penance, study of the Vedas, and academic brilliance are not needed for the attainment of Bhakti or devotion. What is required is a deep and abiding faith in God. Unalloyed love, Vimoka or freedom from desires, Abhyaasa or practice, Kriya or doing good to others, Kalyaana or purity consisting of truthfullness, straight-forwardness, kindness, non-violence and charity; all these constitute the practice of Bhakti or devotion to God. Nishada was born in a low caste, Sabari was a rustic woman, Dhruva was an uneducated boy, Vidura and Sudama were very poor; Vibhishana lived in Lanka, Hanuman was a monkey, Jatayu was a bird, Gajendra was an elephant, the Gopis of Brindavan were not initiated into Vedic rites, but all these attained God-realisation on account of their devotion and self-surrender to God. What is called Bhakti or devotion to God is a state of mind in which it is being melted by the force of spiritual discipline, the mind constantly flows towards the Lord. The intellect is found to be active in cognizing the glory and majesty of God, the emotion in experiencing the delight of divine bliss, and the will in consecrating all activities by complete surrender to Him. The way of devotion is not different from the way of knowledge or Jnana. When intelligence matures and lodges securely in the mind, it becomes wisdom. When wisdom is integrated with life and issues out in action, it becomes Bhakti. Knowledge when it becomes fully mature, is Bhakti. If it does not get transformed into Bhakti, such knowledge is useless tinsel. To believe that Jnana and Bhakti-knowledge and devotion are different from each other is ignorance. "If Shri Adi Shankaracharya, who drank the ocean of Jnana as easily as one sips water from the palm of one's hand, sang in his later years hymns to develop devotion, it is enough to show that Jnana and Bhakti are one and the same." There are many kinds of Bhavas in Bhakti. In Shanta Bhava, the devotee is Shanta or peaceful. He does not jump and dance. He is not highly emotional. His heart is filled with love and joy. Bhishma was a Shanta Bhakta. Shri Hanuman was a Dasya Bhakta. He had Dasya Bhava. He served Lord Rama whole-heartedly. He pleased his master Lord and God in all possible ways. He found joy and bliss in the service of his Master. In Sakhya Bhava, God is a friend of the devotee. Arjune had this Bhava towards Lord Krishna. 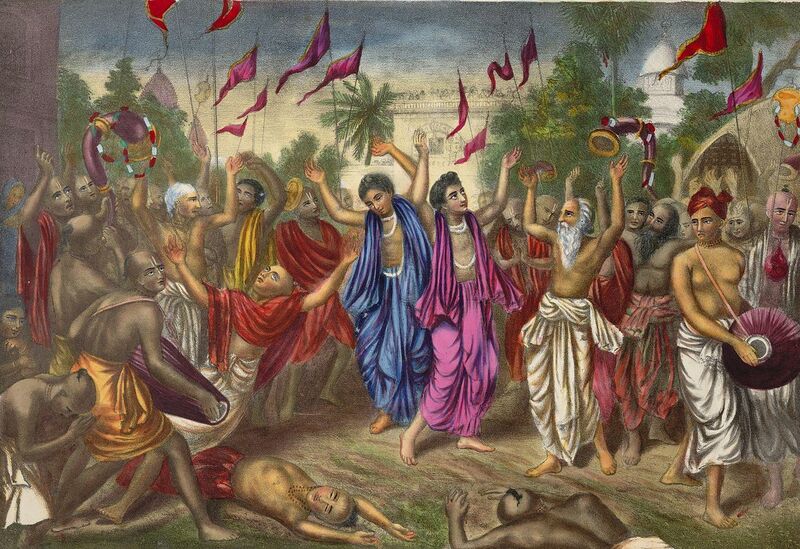 The devotees moves with the Lord on equal terms. Arjuna and Krishna used to sit, eat, talk, and walk together as intimate friends. In Vatsalya Bhava, the devotee looks upon God as his child. Yasoda had this Bhava with Lord Krishna. The devotee serves, feeds and looks upon God as a mother does in the case of her child. The fifth Bhava is Sakhya Bhava. This is also known as Gopi Bhava. The Gopis united Radha and Krishna when they separated. They identified themselves with Radha and Krishna and enjoyed the bliss resulting from their re-union. The last is Madhurya Bhava or Kanta Bhava. This is the highest form of Bhakti. This was the relation between Radha and Krishna. This is Atma-samarpana. That is, the Sadhaka and the beloved Lord become one. The devotee and God feel one with each other and still maintain a separateness in order to enjoy the bliss of the play of love between them. This is oneness in separation and separation in oneness. The relationship is like that of husband and wife. Jayadev, Mira and Savitri had this Bhava. Every act must be done that awakens the emotion of Bhakti. Keep the Puja room clean. Decorate the room. Burn incense and light a little lamp or electric bulb. Bathe, wear clean clothes and keep a clean seat on which you would sit to do your daily worship. Apply Vibhuti or Tilak on the forehead. Wear Rudraksha or Tulsi Mala. All these produce a benign lnfluence on the mind and elevate the mind. They inspire piety. These help to create the necessary Bhava or feeling to invoke your Ishta Devata that you want to worship. Therefore the mind will be easily concentrated. 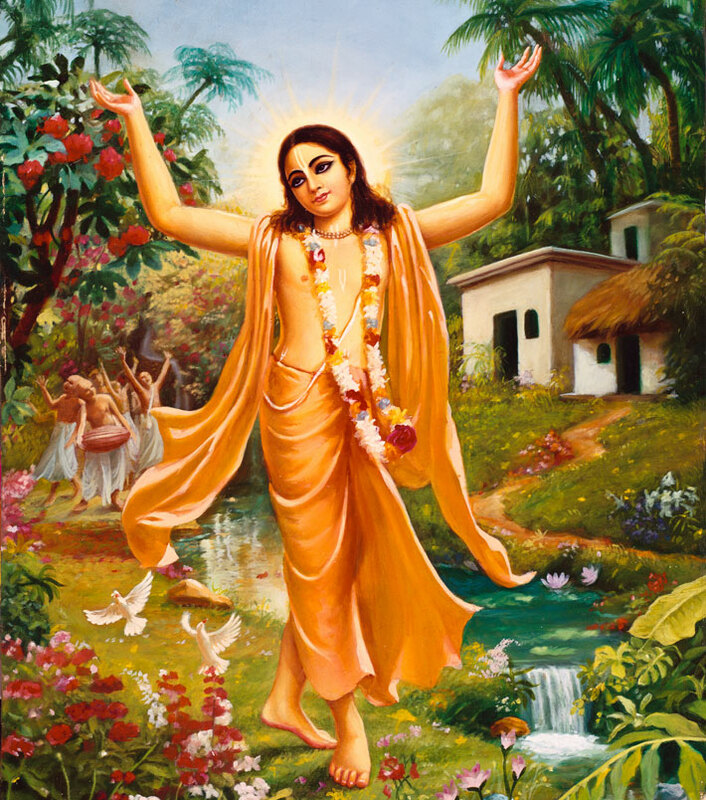 Practice of right conduct, Satsanga, Japa, Smarana, Kirtan, prayer, worship, service to the saints, service to the poor and the sick with divine Bhava, observance of the Varnashrama duties, offering of all actions and their fruits to the Lord, feeling the presence of the Lord in all beings, prostrations before the murti of the Lord, charity, austerities and religious vows, practice of Ahimsa, Satyam and controlled speech, all these will help you to develop Bhakti.